ROCHESTER, NEW YORK – July 19, 2018 – The Spirit of Blue Foundation is pleased to announce that Gary Blair has joined its Board of Directors and is serving in the role of Board Chairman. Blair has a rich blend of military, law enforcement, corporate and non-profit experience that makes him a perfect fit for this role with the Foundation. As Chairman of the Board, he will lead the organization through a new round of strategic planning, development of the Board and will spearhead the fundraising effort to ensure the stability and longevity of the Foundation. “For the majority of my career I have had the opportunity to work in and with many agencies in the law enforcement community. My passion has always been to support, enable and protect the safety of the men and women of law enforcement. This role enables me to continue that passion,” commented Gary Blair. Gary Blair began his career in the United States Air Force Security Forces. Upon being discharged he started his law enforcement career as a police officer in the State of Ohio. He rose to the rank of Chief of Police. Gary then took his expertise in organized crime investigations to the insurance industry, creating anti-fraud programs for insurers in the United States, Canada and Europe. He then served as a senior executive for three property casualty companies in the areas of claims and operations. He returned to government service in the State of Michigan as a Division Director for the Michigan State Police and then CIO for Michigan’s Public Protection Agencies with the department of Information Technology. Additionally, he worked at Oracle and Hewlett Packard developing and implementing technology solutions for law enforcement. 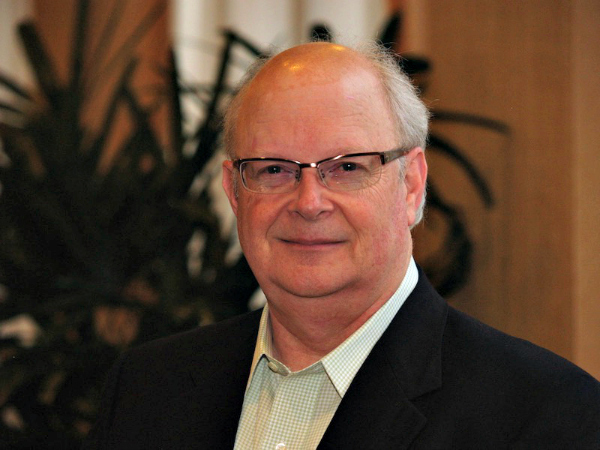 Gary currently consults through his firm Way Forward LLC, serves on the board of the Child and Family Services of Northwestern Michigan, and now chairs the Spirit of Blue Foundation Board of Directors. Since 2011, the Spirit of Blue Foundation has awarded 63 grants in 28. The grants have varied from patrol rifles, body armor, riot control gear, AED’s, K9’s, forensic software, flashlights, Police/Youth Dialogue training, night vision optics, LED flares, ballistic helmets and self-contained breathing apparatus. To learn more about the Spirit of Blue, or make a donation, visit www.spiritofblue.org.